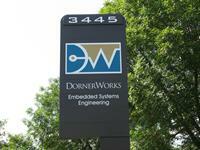 DornerWorks is a premier provider of embedded electronics engineering services for safety-critical markets, with a broad base of experienced talent who can provide seamless integration of embedded hardware and software for your projects. We excel where software and hardware design meet. Founded in 2000, DornerWorks has grown from a one-man consultancy to one the larger embedded electronics engineering services firms in the nation, with a growing list of clients primarily in the safety-critical medical, automotive, and industrial markets. With a strong and deep engineering staff, DornerWorks has attracted some of the best talent in the industry in large part due to our outstanding reputation for integrity, reliable and validated designs. We are creative in technology leadership. DornerWorks is an ISO 9001, AS9100, and ISO 13485 certified company, providing assurance that our standards of quality will align with the design and safety requirements of our customers. These quality systems along with our experience in DO-178 and DO-254 align with ISO-26262 safety requirements integrated into our hardware and software development cycles. When you need only the highest level of quality, experience and technical expertise, there’s really only one call to make: DornerWorks!